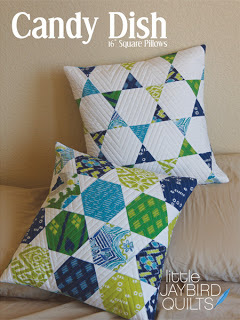 “Kaffe Sets Sail” Row By Row Experience pattern for 2015 is available to purchase. Postage will be adjusted to $1.00. 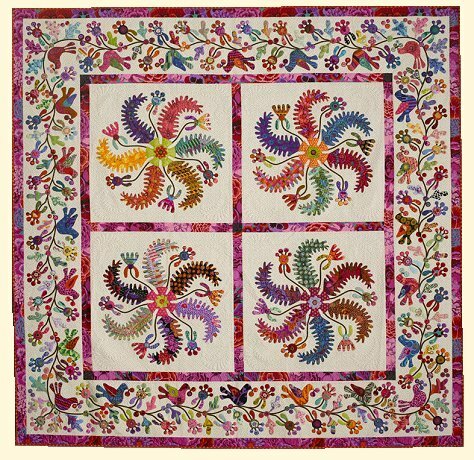 Also, the kit with Kaffe Fassett fabric is available to purchase and the pattern is included. 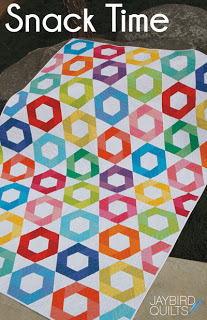 This kit makes a row 9″ x 36″ which makes it eligible to include in the Row by Row Contest. 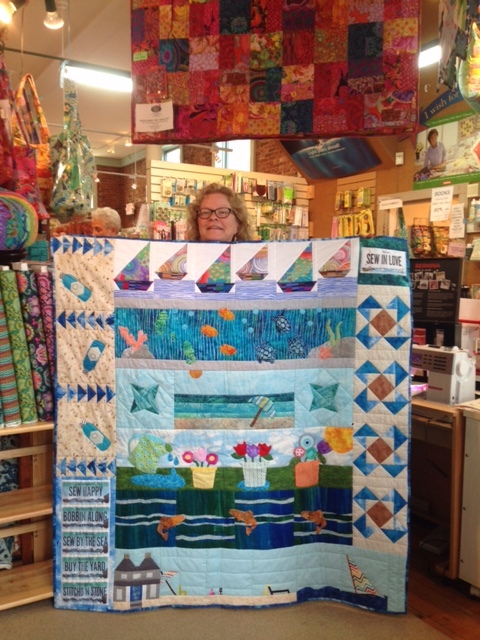 The winner finished a quilt with 8 rows plus binding and won 25 free fat quarters plus a bonus for using our row. 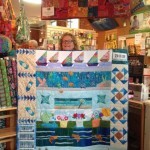 Here is Portsmouth Fabric Company’s winner, Bea Matheson! The Row By Row Fabric Plate is $5.00. Postage will be adjusted to $1.00.